great book a little slow to begin with. Among other achievements, Kingsford Smith was the first person to fly across the Pacific. He broke the record for the fastest flight from England to Australia, and at one point he held more long-distance flying records than anyone else on the planet. If that wasn't enough, Smithy was also a war hero, receiving the Military Cross for gallantry in action after being shot - and losing three toes - during one of many flying missions during World War I. Smithy was not the lone adventurer of the skies. Early aviation drew to it a company of daredevils who all challenged gravity and fear. 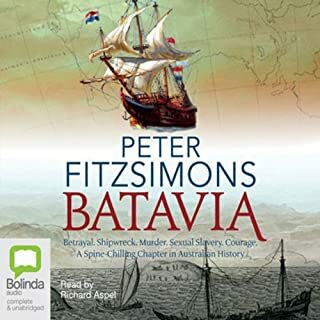 This comprehensive biography, written with typical flair by best-selling author Peter FitzSimons, covers the triumphs and tragedies of not only Kingsford Smith's daring and controversial life but also those of his companion aviators. All I knew about Smithy before reading this was that he flew the Southern Cross and he was on our $20 note back when it was still paper. After reading this book, which is brilliantly read, I came away with an amazing appreciation for the pioneers who literally invented flight, flying, and aviation as they went along. Not to mention the incredible life of the man himself Smithy.... Every Australian should read this book. 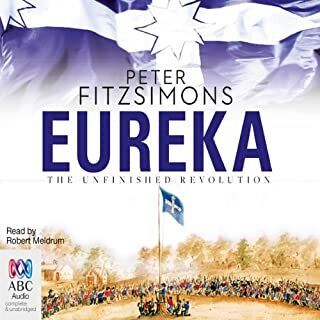 Peter FitzSimons and Richard Aspel have done a remarkable job bringing the people and events of so long ago to vibrant life, right there in my ears. Thanks guys. What made the experience of listening to Charles Kingsford Smith and Those Magnificent Men the most enjoyable? The breadth and depth of the research which included the history of flight. It was incredibly interesting and shed a lot of light on a period of history perhaps not that well know today. What other book might you compare Charles Kingsford Smith and Those Magnificent Men to and why? 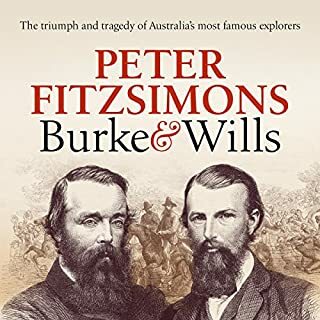 I've read a few other biographical books by Peter Fitzsimons and this is in the same genre. As usual the research is excellent. What does Richard Aspel bring to the story that you wouldn’t experience if you just read the book? Overall I liked Richard Aspel's performance - it was very colourful and animated but in a couple of places it felt slightly theatrical. I really admired the courage and determination of the pioneers of flight and the difficulties they had to contend with. A great and very interesting read particularly for anyone interested in Australian history and flight. 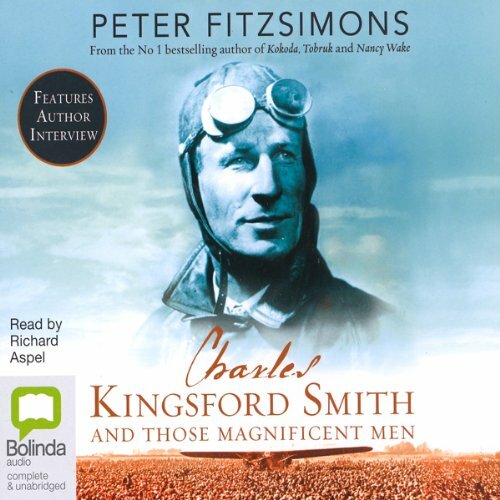 Where does Charles Kingsford Smith and Those Magnificent Men rank among all the audiobooks you?? ?ve listened to so far? Being a "detective thriller" type of person, I did not know if this style of book would keep me turning pages. Not only was I turning pages, I was sitting in my car after I got home to find out what was happening next. Not too many books can get me to do that. What was one of the most memorable moments of Charles Kingsford Smith and Those Magnificent Men? When Smithy met the King while on crutches. Have you listened to any of Richard Aspel?? ?s other performances before? How does this one compare? No, but I have now added him to my favorites. I kept my hope up that Smithy would succeed at everything he touched..
Another wonderful book by this author. This book covers not only the life of Charles kingsford smith but the history of aviation itself up until the 1930,s. A must read for any aviation of war buffs. It was immensely enjoyable. I learnt many new and facinating things about Kingsford Smith. He really was larger than life. I often laughed out loud with FitzSimons' well placed classic Australian lingo ('like a koala during a cyclone') and I loved the depth of detail that put the life of Charles Kingsford Smith in contex. The narration was also superb and the accents create character and charm every if they did sometimes seem a little over the top. 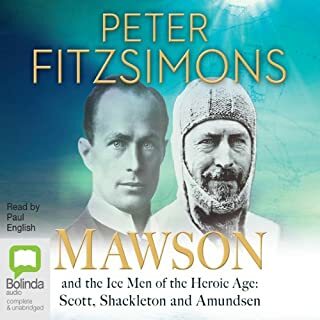 Would you consider the audio edition of Charles Kingsford Smith and Those Magnificent Men to be better than the print version? not one, just a well written, very well read saga of early aviation. Who would you have cast as narrator instead of Richard Aspel? Anyone but. 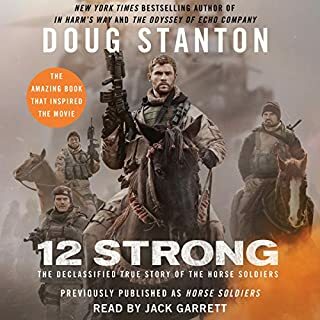 As a regular listener to audio books I have never been so disappointed in a narrator. I have contacted Audible to seek a refund. There is no way I could listen for more than a minute. I hope the publisher re-records the work (using a different voice artist) because the subject is of enormous interest to aviation buffs. I could not continue to listen. Would you listen to Charles Kingsford Smith and Those Magnificent Men again? Why? An interesting back ground on an Australian Charector , given his notoriety I am surprised in a way to find how his fame out weighed his business sense. It was also interesting to hear about a history of aviation and the names that have and have not carried through to nowadays. Great listen. Well worth it. Fascinating story of the life and times of "Smithy". 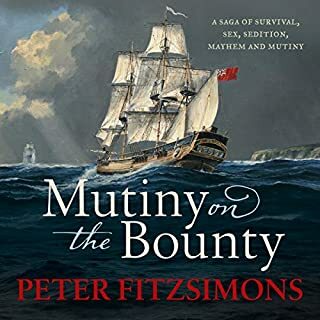 Another superb book from Peter Fitzsimons. Recommended. Absolutely loved the story, unfortunately the narrator sounds like he’s got a lolly in his mouth half the time. I found the ‘mouth noises’ throughout to be torture at times and although I stick with it for the story it was not an ultimately enjoyable experience. narrator is very annoying . very bad at accents. very hard to listen to the narrator's attempts at different accents. made it in listenable. Smithy was a boyhood hero of mine. I was astounded by the normal days to day dramas he experienced and just how poor he was with business. As usual with Peter, all the side stories were just as amazing as the core topic. A true Aussie hero who should be cherished. Really disappointed with the narrator. Mispronunciations, really BAD American accents just took away from a tremendous book.